Moving house can be tough. It’s one of those things in your adult life that is deemed as stressful. New jobs, homes and babies are said to be stress-inducing times in an adult’s life. We’re about to turn that misconception on its head. 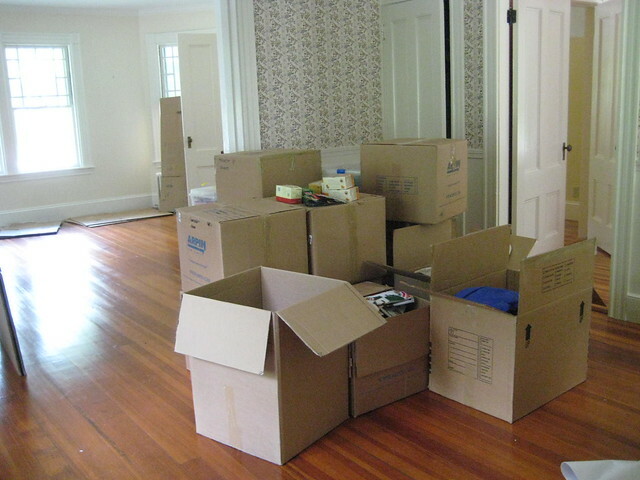 Did you know that moving house can actually make you happier in the long term? Yes, really! When it comes to moving house, you have to do it for the right reasons. But, if you want long-term happiness, moving house could be the way to do it. Moving house can present a unique set of challenges. But, ultimately it helps you discover more about you as a person. You will find out how resilient you truly are. But, more important you will be aware of the importance of change. Change is essential to our character. Many people feel that they are stuck in a rut. This could be with their homes, jobs or their personal lives. As such, people that move house feel more fulfilled as they have taken control of their lives. They are happier in their approach to life as they have taken a controlled and proactive step in making their destiny. It’s one of the most important things that you can do as an adult, so if you are keen to have a new challenge in your life, look at ways you can do this. Moving house may just be the thing that keeps you happy! it is said, however, that you should never move more than five times in your adult life. Apparently, any more than this can make you feel unsettled. Many people crave a new start. Whether this is in the city, the suburbs or abroad; a new start can be enriching and beneficial. Of course, it’s not something that can be done on a whim. But, a new start in a new town can often make people feel happier with their lives. As such, moving house is not a stressful process. As long as you have all of the things in place to make the transition a smooth omen you should feel happier for attempting a new start. Do make sure that if you are moving that you are looking at realtors, hiring a mover and a lawyer to help you make the process stress free. A new start can be beneficial for your mind, body and soul. After all, no one wants to feel that they are repeating the same part of their lives over and over! Get the Timing Right For Maximum Happiness! Moving house is not something that can be done because you are having a bad day. Getting the timing right ensures that you are happier for the long term. If you want to make sure that your new start is the right one, executing perfect timing is the best way to do this. You will need to put in a lot of research to guarantee that this is the right move for you. But, timing your move is vital. That way, you can make sure that you are happier and more fulfilled for the long term, not just for the here and now.